PNG focused and operator of Solwara 1 Project Nautilus Minerals took the top spot on the TSX last week, climbing 13.33% to reach $0.51. That is the second week in a row that the company has been included in the top five lineup — it closed at $0.45 the week before last. Nautilus Minerals is the first company to explore the ocean floor for polymetallic seafloor massive sulfide deposits. 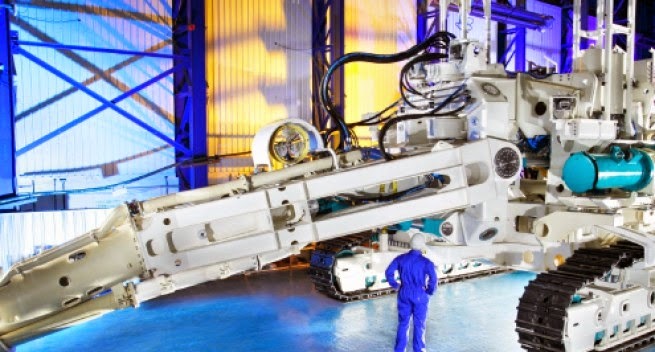 Though it did not release any news last week, the company announced on February 23, that commissioning and factory acceptance testing of its third and final seafloor production tool (SPT) has begun at Soil Machine Dynamics’ facility in Newcastle. "We are very excited that the commissioning of the final of the three SPTs has begun," Mike Johnston, Nautilus CEO, said. "With the Bulk Cutter and the Collecting machine having already begun Factory Acceptance Testing and now with the Auxiliary Cutter underway, we are on track to complete this testing phase and take delivery of the three SPTs in Q4 2015."